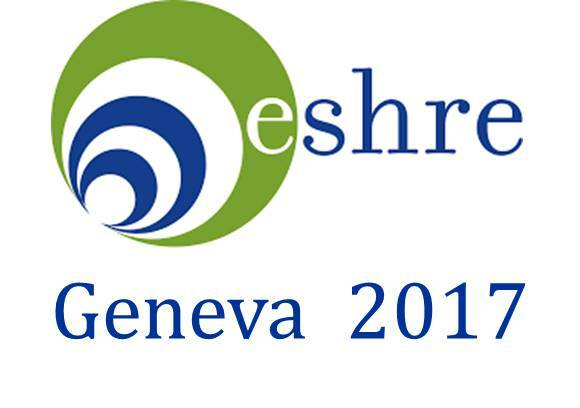 July 2017 | The 33rd Annual Meeting of the European Society of Human Reproduction and Embryology (ESHRE) is to be held in Geneva, Switzerland, 2-5 July 2017. 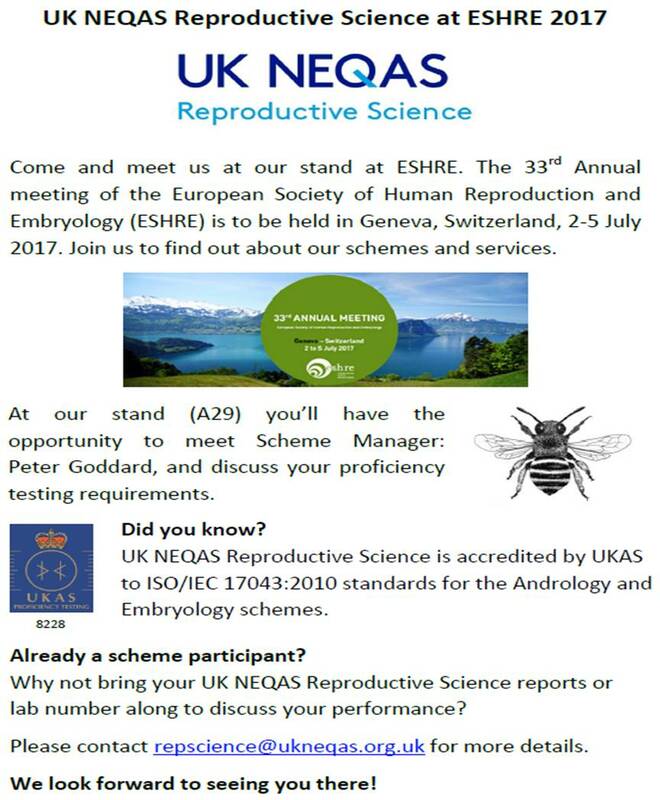 The UK NEQAS Reproductive Science Scheme will be presented at a stand (A29) while the conference. The presented service for external and internal quality assessment, accredited by UKAS to ISO/IEC 17043:2010 standards for the Andrology and Embryology schemes, will be offered in cooperation with GameteExpert. 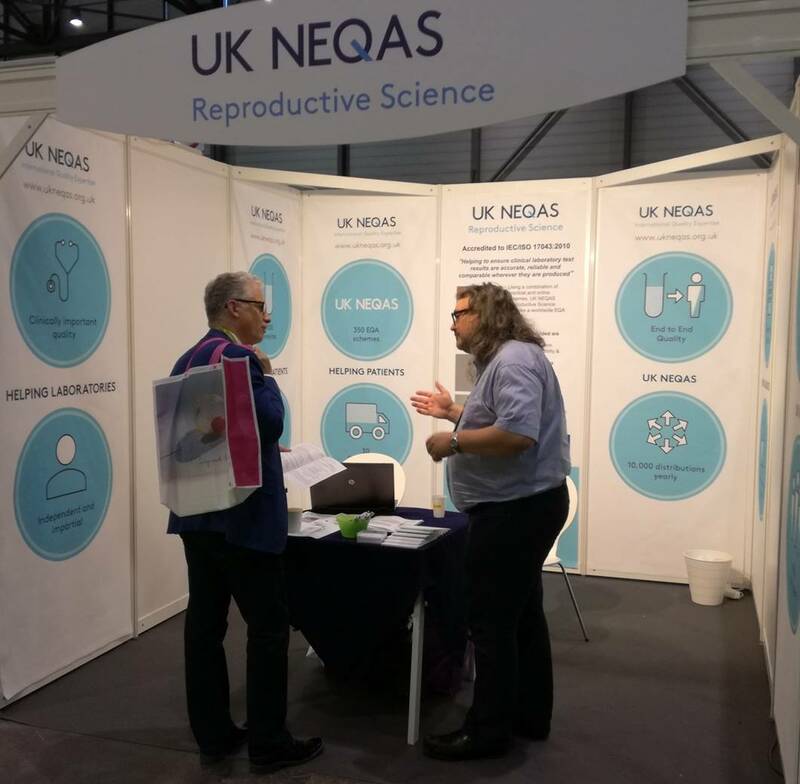 If you are interested in participating in the online training of UK NEQAS, here you will find more information.